The Department of Neurology performs clinical and translational research within three research themes: infection & inflammation, cerebrovascular disorders, and movement disorders. The themes are imbedded in the nine translational research programs of Amsterdam Neuroscience, the research institute of neuroscience investigators in the Amsterdam area. All staff members of the Department of Neurology are involved in research and collaborate within Neuroscience Amsterdam, with other academic and non-academic hospitals, and with international research groups. The Cerebrovascular Research Group focuses on the acute diagnostic and treatment options in both hemorrhagic and ischemic stroke, including aneurysmal subarachnoid hemorrhage and cerebral venous sinus thrombosis. Solving burning clinical questions is the starting point of the group, but where needed fundamental research is used to understand pathophysiology and develop new treatment strategies – from bed to bench and vice versa. 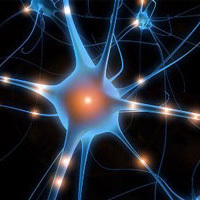 To do so, the group has a strong clinical research infrastructure which runs large cohort studies and (international) multicenter randomized controlled trials which focus on the surveillance, testing and implementation of both new pharmacological and medical devices treatment options in acute stroke. Translational studies are focusing on early diagnostics of stroke subtypes, penumbral salvage/neuroprotection and reperfusion injury. The group is working together with all other major cerebrovascular research groups within the MR Clean and CONTRAST collaborations and is embedded in the cerebrovascular program of Amsterdam Neuroscience Center and is part of the Amsterdam Cardiovascular Sciences group.